If you are looking for a way to introduce your group of students or employees to wellness, but you don"t have enough time to get away from the residential college or out of the office, then Wellness on Demand is for you. 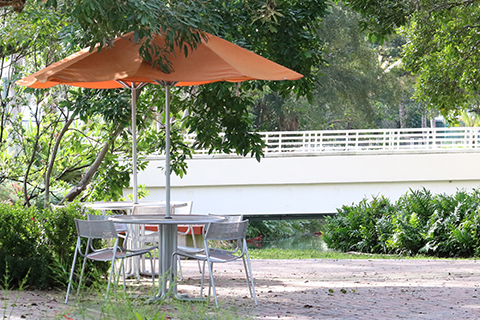 The Wellness Suite staff is happy to provide with student organizations and groups, fraternities and sororities, classes, and faculty and staff with wellness programming to expand minds, develop wellness skills, and enrich quality of life while at the University of Miami and there after. You choose the topic, and we bring it to you! Faculty who plan to miss a class due to a conference or other circumstance are encouraged to invite the Wellness Suite staff to their class to offer an educational program. Choose a presentation topic from the options provided, or customize your own program. Complete the Program Request Form and return or email it to the Wellness Suite. (Please allow 2 weeks notice for presentations - especially if requesting a custom presentation.). The Wellness Suite staff will contact you to confirm your presentation appointment.